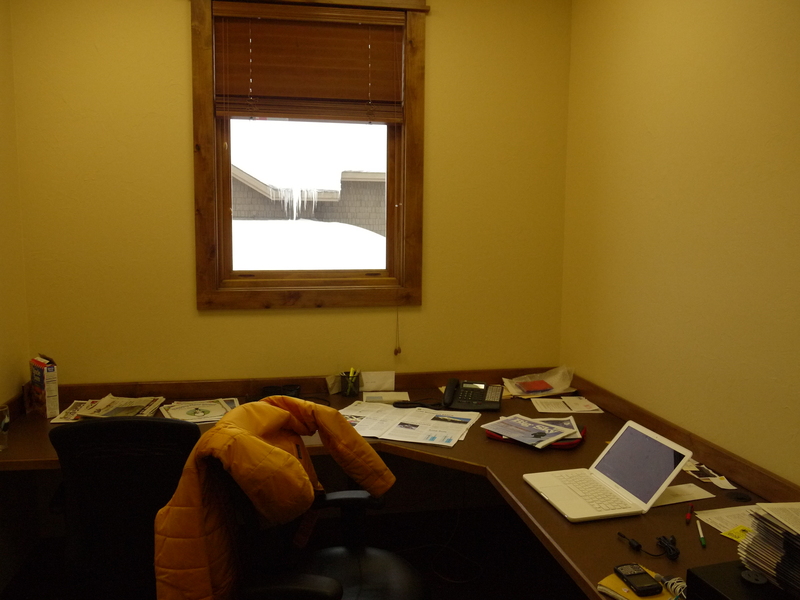 This (left) is where the magic happens in Big Sky — I almost cried the first day I was at this desk and heard Moonlight ski patrol doing morning avalanche control work on the Headwaters ridge (my old office). Pat’s gun cleaning table (right) doubles as a desk for me when it’s not hunting season and I want to stand up to work, which is often — all but six weeks out of the year. 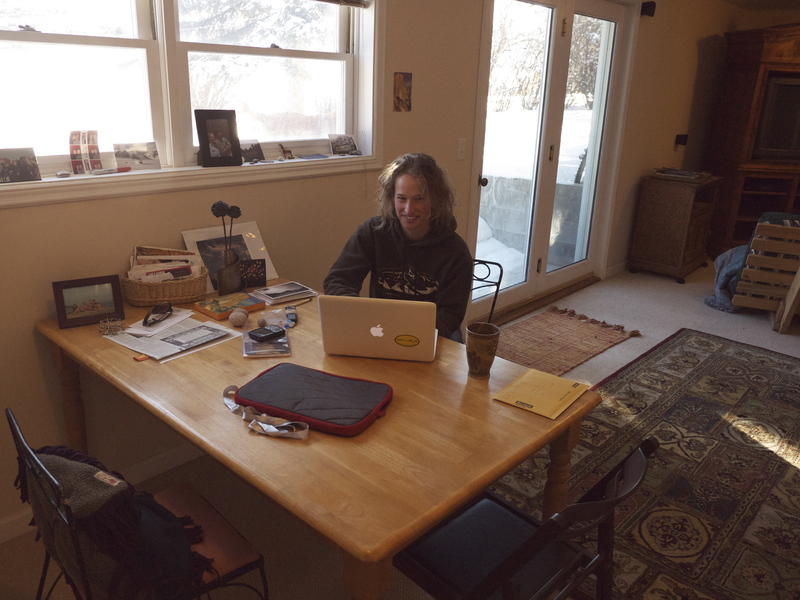 And the dining room table is also a good place to work, because it’s near the wood stove and the kitchen.